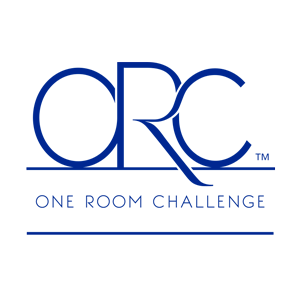 Linda at Calling it Home has invited bloggers to play along at home with a new board game version of the One Room Challenge called the One Room Challenge Linking Party. There are something like 72 participants and some serious talent. I suspect Linda is secretly scouting talent from this group for the next One Room Challenge. Three have caught my attention as ones to follow. 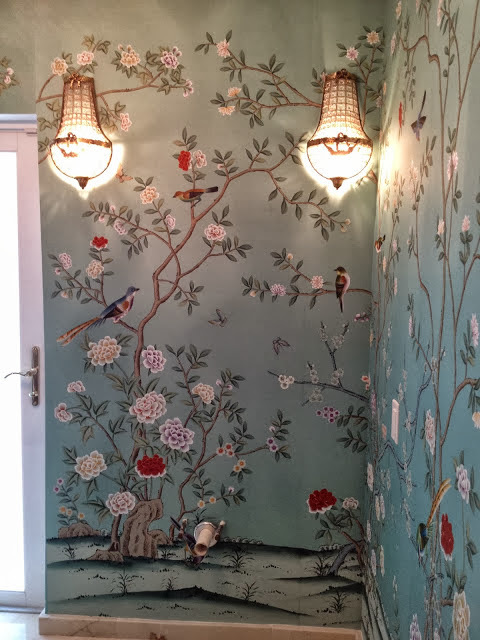 Above, a favorite blogger of mine already, Andrea from The Glam Pad, lover of all things Palm Beach Chic and Chinoiserie, is creating a "faux de Gournay" powder room and I am so excited. You can check out her first two posts on it here and here. This is going to be fabulous. 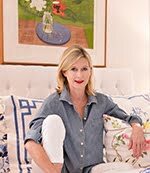 Below, Kim of Kim Macumbers Interiors, a past participant in the One Room Challenge, says she caught the bug from Chinoiserie Chic and The Pink Pagoda to have some Chinoiserie of her own. 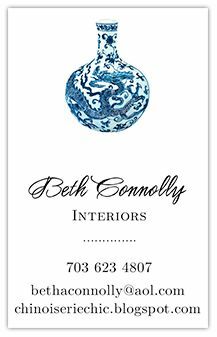 Her powder room will have a pagoda mirror, elephant prints from The Pink Pagoda, Leontine linens, and a gold chevron wastebasket. You had me at hello. 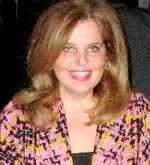 Check out her first two posts here and here. 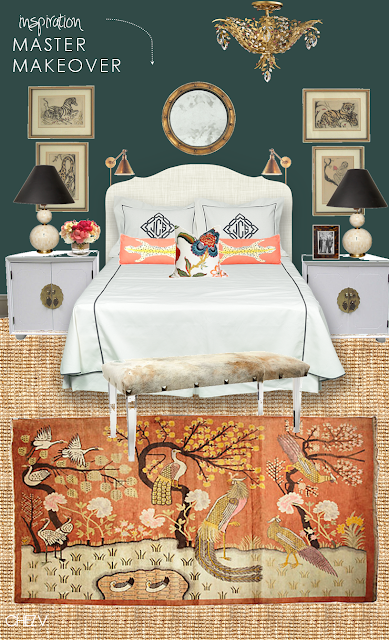 This Chinoisy Safari Chic master bedroom from Chez V has all the makings of amazing, with its Chinoise Out of Africa British Colonial vibe and my favorite pillows in the whole world - the leopard pillow by Dana Gibson. Here and here are her two posts to bring you up to date. 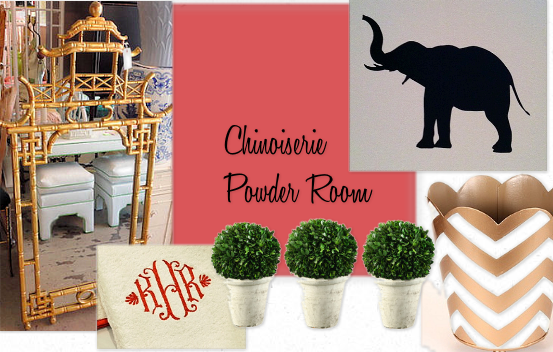 I will be so happy to watch these three fabulous Chinoiserie rooms come together as I work on my own Chinoiserie laundry room makeover. Well how exciting is this?! Thanks for the mention lady! I too cannot wait to see how your laundry room, Andrea's powder room (that paper!! ), and Kim's powder room (hmm which paper will she choose?!) evolve. These are three of my favorites, too! And LOL on the talent scout idea. Yay, I can't wait to see how these rooms come together! So much amazing talent! I have to check out more about Andrea's adventure in the powder room! I love all the Chinoiserie accents floating around the ORC. Andrea's wallpaper was a stroke of genius. 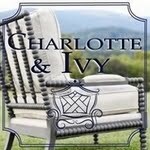 Chez V has always rocked the styling, and Kim is a designer, so I know they will create rooms to envy. Beth! I have been running all day so I am just seeing your post! Thank you so much ... I am thrilled to finally get something done for myself! You made my day!